The ski season in the Northern Hemisphere has well and truly started, but the snowline has retreated in recent days as warmer weather hit the Alps. Most of the resorts with skiing and snowboarding on glaciers have opened. Verbier, open at weekends to date will be fully open from this weekend. The weather has caused havoc with the winter sports schedule, with a number of World Cup events re-scheduled. However the higher resorts are gradually opening, and colder conditions and snowfall are due this week. 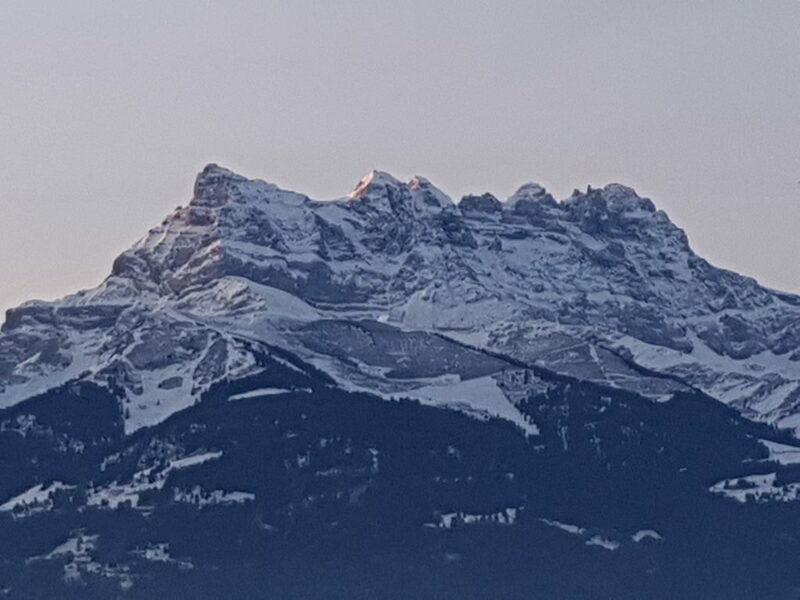 Les Diablerets, for example, is currently enjoying temperatures around 10 degrees Celcius, but will be below freezing by next Monday. The World Meteorological Organisation says there is a 70% chance of El Niño developing for the ski season this year. If so, it will almost certainly bring colder temperatures and more snowfall than normal to the Alps. For those looking ahead to Christmas, ski conditions look promising. 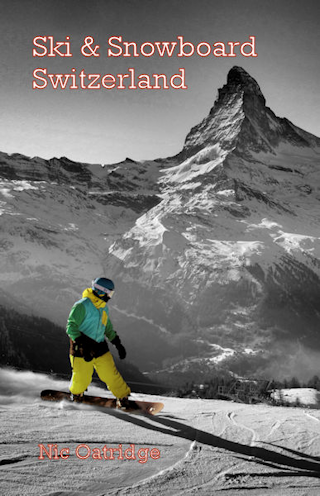 Zermatt, for example, will see fresh snowfall most days ahead of the Christmas break. I haven’t seen any figures yet, but I imagine this winter season will be one of the better ones for winter sports participation in Switzerland. And it’s not over yet! Although many resorts closed after the Easter weekend, the snow is better than I can recall it this late in the season. I am currently skiing Villars-Gryon and the depth of snow is staggering. 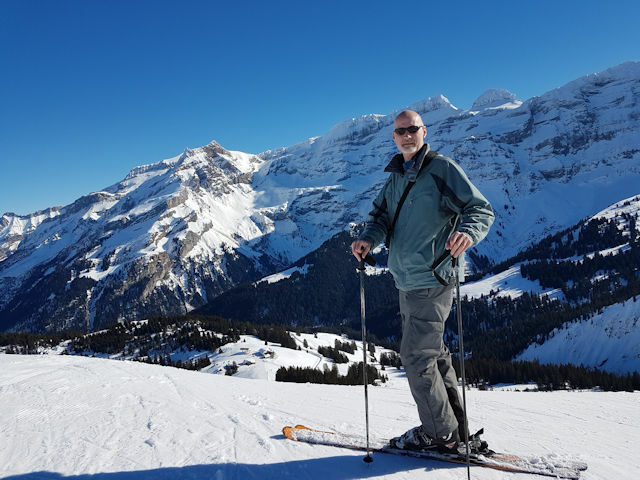 No bare patches to speak of – even the resort run into Villars is pleasantly skiable at the end of the day. Although there are Spring ski conditions the pistes have been excellently groomed and, without the Easter crowds, the pistes are staying in good condition throughout the day. Many resorts have held their end-of-season bashes in the assumption the snow would have gone. Villars held theirs over Easter, but plan to stay open until 15th April. My sense is that they could well stay open longer, but with so many skiers calling time on the season it is probably uneconomical. Indeed one resort I was hoping to get to before the end of the season, Crans-Montana, unexpectedly closed all the lifts on 2nd April. With a glacier and some seriously high runs, Crans-Montana is often one of the last resorts to close, despite its largely South-facing slopes. It had over 4 metres of snow at the top and all runs open when, in what can only be described as as a fit of pique, the lift operators closed all lifts because of a dispute with local municipalities. In an open letter , Philippe Magistretti, chairman of the ski lifts, announced the immediate closure of the Crans-Montana Aminona ski area, citing a failure of the municipalities to honour an 800,000 Franc deal. In response, the municipalities say that the breach of which they are accused is part of an agreement “still under negotiation between all the parties involved” and “vehemently reject” Mr Magistretti’s remarks. They go on to say that “the priority of the Communities is to minimize the negative consequences of this decision on tourists,” and are providing a free bus service to nearby Anzère. Now I like Anzère a lot, but it is a more modest, and lower, resort. Needless to say local businesses feel they have been let down so a lot of bad blood is likely to ensue. And I won’t be going to Crans-Montana this season. Regrettably Saas-Fee is only planning to stay open 15th April, despite it’s altitude. Verbier and Samnaun/Ischgl, however, will be open until the end of the month, and Glacier3000, St Moritz, Engelberg and Andermatt plan to stay open into May. Zermatt is theoretically an all-year resort but has already started closing some lifts, but I’ve known the valley run from Furi open well into May so I am optimistic it will be for some weeks yet. 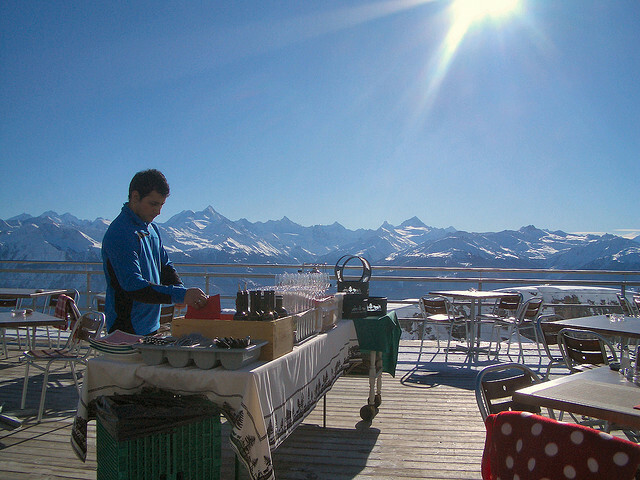 STOP PRESS: Crans Montana has re-opened as of 6th April – although only until the official end of season on 17th April. Wouldn’t it be nice if they extended it a few days to make up for the closure?